Further proving they are too good and pure for this Earth and we don’t deserve them, Jack and Rose Leonardo DiCaprio and Kate Winslet are working together right now to literally save the life of a woman with ovarian cancer. For some time, they’ve been raising funds to help the 28-year-old German mom, Gemma Nuttall, get an expensive immunotherapy treatment for her aggressive ovarian cancer. What makes the story even better is that both stars have been keeping quiet about their work to help Nuttall until Winslet brought it up Monday during an appearance on This Morning. “I lost my own mother last year in May to ovarian cancer, and we as a family were given a very poor prognosis for my mum. 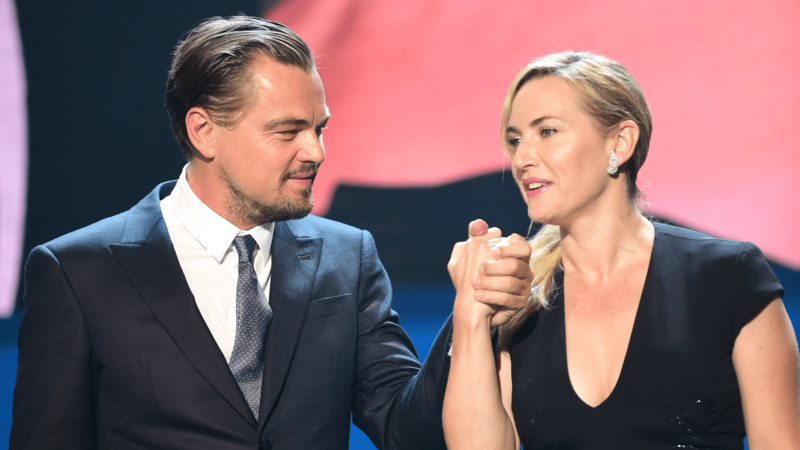 After a four-year battle, a really unbelievable fight, we decided to look elsewhere and we also stumbled across those places in Germany,” Winslet said, talking about the treatment centers Nuttall couldn’t afford to go to. Winslet then contacted Nuttall’s mother, Helen, to see about helping them raise the money needed for a six-session treatment, which can cost nearly $100,000 per session. The three dinners they auctioned off ended up raising $1.35 million, which was split between paying for Nuttall’s treatments and the Leonardo DiCaprio Foundation. But Winslet isn’t stopping there. She gave a statement to Us Weekly explaining that she’s still working to raise money for Nuttall’s future treatments. You can donate to Nuttall’s treatment fund through her GoFundMe page.